Posted on July 25, 2018 at 1:46 pm. 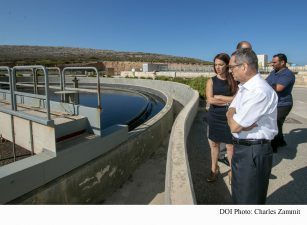 The New Water plant in Mellieħa together with other projects that WSC are working on will ensure that our country, a region that suffers from water shortage, has got access to good quality water. 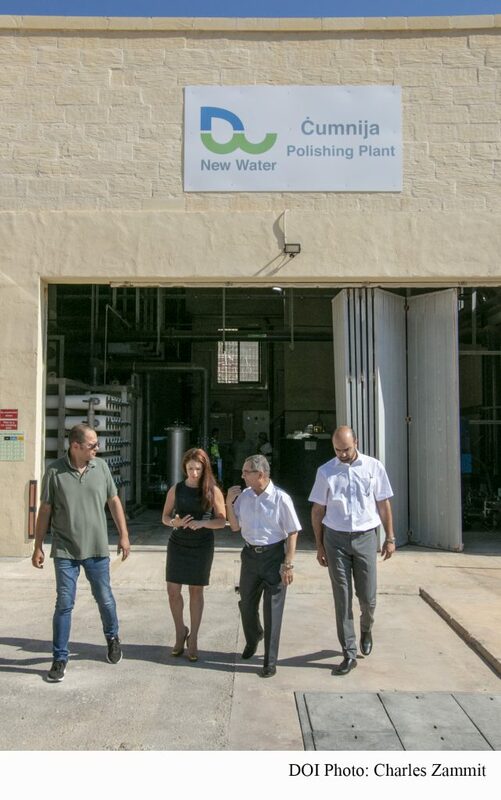 The Minister for Energy and Water Management Joe Mizzi and European Parliament Member Miriam Dalli said this during a visit to the New Water Plant in Mellieħa, accompanied by the Chief Executive for Water Services Corporation, Mr Richard Bilocca. 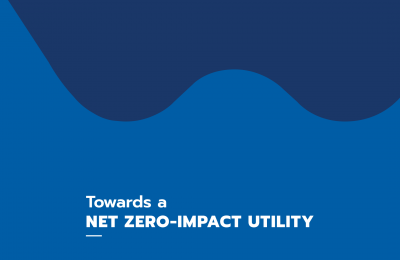 In fact, statistics show that in the Mediterranean region 20% of the population live in a situation where there isn’t good quality water or the demand for water is more than that available and more than 50% of the population is affected by water shortage in summer. purified water from this sewage treatment plant. Same water that previously was thrown away, and through this project it is polished and used for agriculture and industry. Minister Joe Mizzi explained that this project was realised with an investment of 20 million Euros in terms of infrastructure and 22 million Euros in plants. 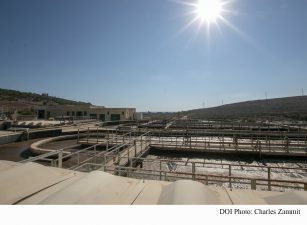 The second plant was inaugurated in Gozo a few days ago and now the third plant in Xgħajra, which is in a testing stage, will be inaugurated in the following days. 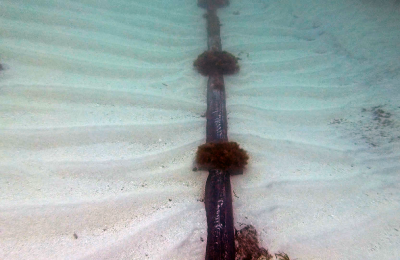 The treated water, which is of high quality can be used safely for irrigation, landscaping, and for certain types of industry. The Minister recalled that a visit was made to the farmers were they praised this water and said that their products are of better quality and keep fresh for longer. 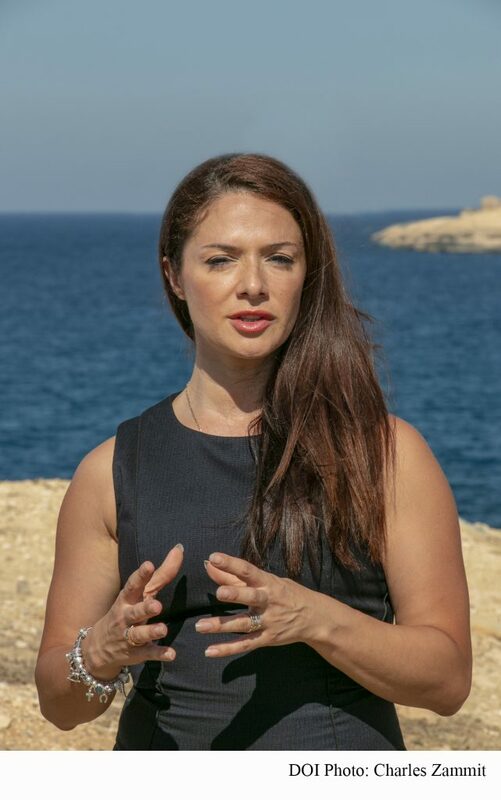 On its part, the MEP Miriam Dalli explained how the water treatment is part of the pattern of circular economy which the European Union is adopting and, through this model, resources, including water, to be reused. “In our country water is a limited resource and is needed from various sectors including tourism and agriculture. It is therefore necessary that our country continues to invest in technology and innovation to offer the best solutions for this re-used water and at the same time being of good quality,” said Dalli. She explained how the European Union is currently working on several laws that will ensure quality, both in re-used water as well as drinking water. 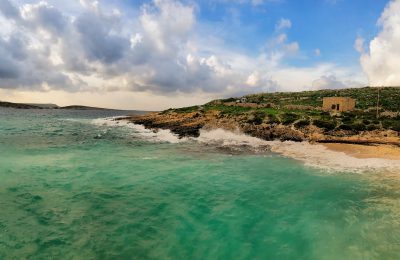 “Statistics show that the Mediterranean countries are mostly experiencing lack of water and therefore have the task of ensuring ourselves, that all European citizens, including Malta and Gozo have access to good quality water,” Dalli concluded. Currently, the Corporation is implementing a number of projects exceeding 100 million Euros co-financed by the European Union Cohesion Fund.